This Symbol has seen a Massive Price Swings this year, we don't want to miss the Next MAJOR MOVE! The just PUMPED out 2.3 Million dollars Revenues for the first quarter of 2017!!!!! It is just now starting to Pick Up Massive Interest by the looks of the Market Action. This is our opportunity to Steal the Thunder before the Masses take a whiff of this Mega Potential Jaw Breaker. 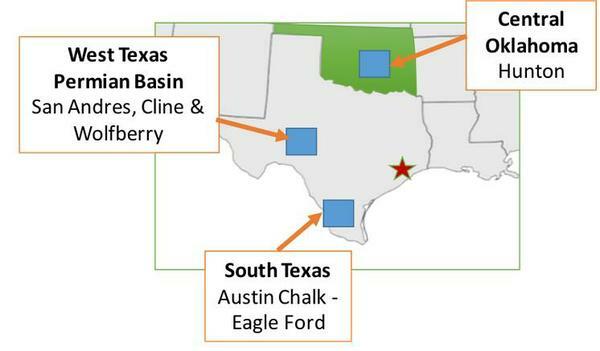 Camber Energy is a publicly-traded energy company, with a balanced asset base in Texas and Oklahoma, that is actively engaged in the exploitation, development, and production of crude oil, natural gas and natural gas liquids. CEI is committed to building shareholder value through the accelerated growth of oil and gas operations and the expansion of there asset portfolio. There exceptional management team has successfully streamlined day-to-day operations and managed cash flows while capitalizing on strategic opportunities. CEI has a property in South Texas that is just Massive, a very rich estimation of crude oil. this includes 100pct working interest in over an Enormous 7,300 acres primarily producing crude oil. This is just one section of the book of properties they have access into. This Map Shows How Much Reach They Have. Lets face reality, oil is still the most needed resource and it is going to be highly demanded for years to come. Allot of companies are making loads of revenues from it, and CEI is right in line with a strong leadership in place. CEI just announced the securing of 16 million dollars in financing, which could make them Hot all over Wall Streets Scanners. If you can get someone to hand you over that much financing, then you must have something very valuable. This is exactly why I want our Eyes and Ears all over CEI during This Trading Session. Remember this Symbol CEI has the ability to see 10, 20 even 30 cent price Swings in Just One Trading Session!!! The chart alone is screaming Massive Bullish Potential Price Swings. Your MACD is curving upwards and crossing over. Your RSI is nearing the 60 mark signaling Bulls takeover. You have two Green Volume Bars last 2 trading days, stock has big confidence. CEO Richard Azar is an oil and gas industry executive with more than 30 years experience in exploration and production. Mr. Azar serves as President/Co-Founder of San Antonio-based Brittany Energy, LLC and Sezar Energy, LP, independent oil and gas exploration and production companies. From 2007-2009 and again from 2011-2016, he was a director with Petroflow Energy, Ltd./TexOakPetro Holdings, LLC., a private oil and gas company with operations in the Hunton dewatering resource play in Oklahoma. Since 1982, Mr. Azar’s companies have explored for, produced and operated over 1,000 wells in Central, South and West Texas and Central Oklahoma, including the development of the Hunton Dewatering Resource play in central Oklahoma. 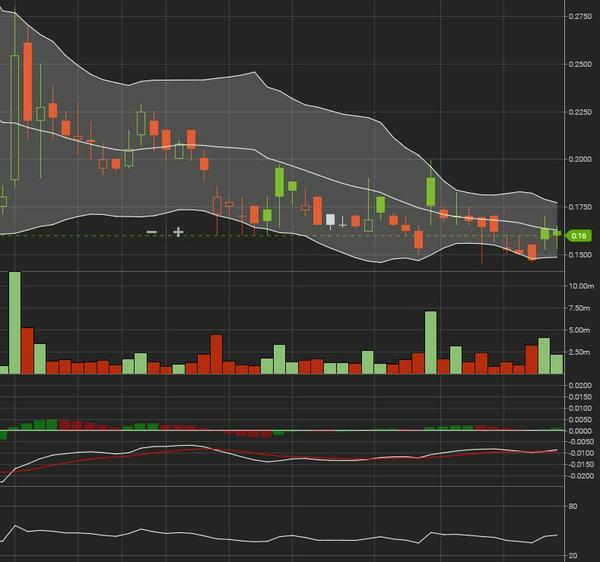 CEI is possibly gaining the Attention of some Big Players, Get This three letter Symbol on your Trade Screen and don't miss the Price Swings. Be wise always protect your interest and Never Sit and Let Profits Pass you by!! Remember always protect your investment, and only invest what you can afford to lose as a safety measure. Be a smart Trader and Take Profits When You See It! I am not a licensed advisor, just a very good aggressive trader. This information and the sources may not be accurate, please do your own research. Price points and percent's stated may not be accurate, please double check to make sure. Trading carries a high degree of risk, please consult a licensed advisor before trading. Be Wise, not every trader realizes these kind of Gains. Always do your own research and make your own personal judgment call. Never trust or make a trade based on any ones opinion but your own. Only you can decide where to invest your hard earned dollars.